Rutland Dealer Boots. 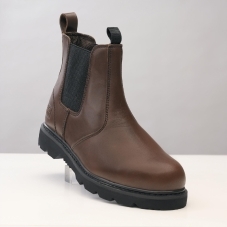 Durable, comfortable slip on boot with pull tabs and tough elasticated sides. Complete with a deep cleated heavy duty tread and stuck and stitched through sole unit.